(Reuters) – Apple Inc (NASDAQ:) sales led by the pricey iPhone X pushed quarterly results far beyond Wall Street targets on Tuesday, with subscriptions from App Store, Apple Music and iCloud services bolstering business. 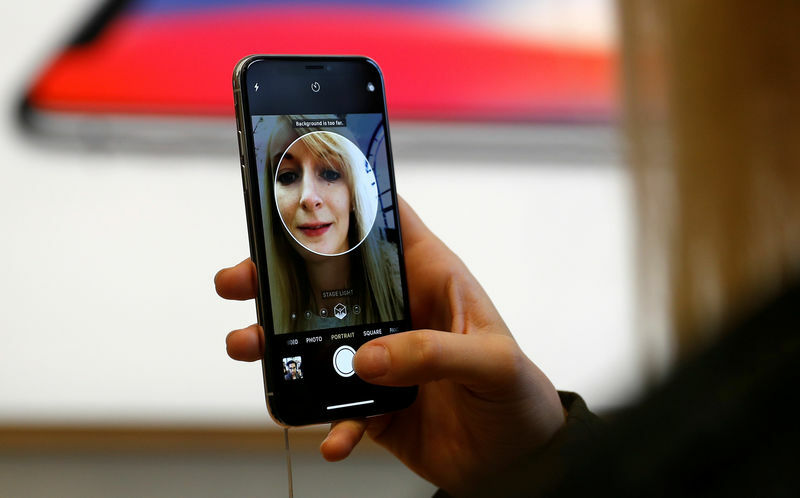 The world’s most valuable technology company also forecast revenue above expectations for the fall, when it typically launches new iPhone models, reassuring a nervous tech sector that saw sell-offs last week in Facebook Inc (NASDAQ:), Twitter Inc (NYSE:) and Netflix Inc (NASDAQ:) on concerns about their future growth. The Cupertino, California company has responded to a plateauing global smartphone market by launching ever-more expensive phones and diversifying into services, prospering even as rival Samsung Electronics (KS:) Co Ltd missed targets for its flagship Galaxy S9 and China’s Huawei Technologies Co Ltd [HWT.UL] took the No. 2 global smartphone sales spot. And a $20 billion stock buyback in the quarter spurred by sweeping U.S. corporate tax cuts brought Apple’s buyback tally this year to a record $43 billion and exceeded the stock market value of almost three-quarters of the companies in the . Services revenue was $9.5 billion, beating analyst expectations of $9.1 billion, according to Thomson Reuters I/B/E/S. The revenue included $236 million from resolving lawsuits such as Apple’s long-running dispute with Samsung Electronics Co Ltd .
Cook said Apple Music has more than 50 million users when free trials are counted and hinted at the company’s video content efforts. Apple has hired prominent television executives from Sony Corp (T:) and started making deals for content such as a dramatic series with Hollywood stars Reese Witherspoon and Jennifer Aniston.